Naziema, originally from London, moved to Hampshire in 1997 to continue her career as a veterinary surgeon. 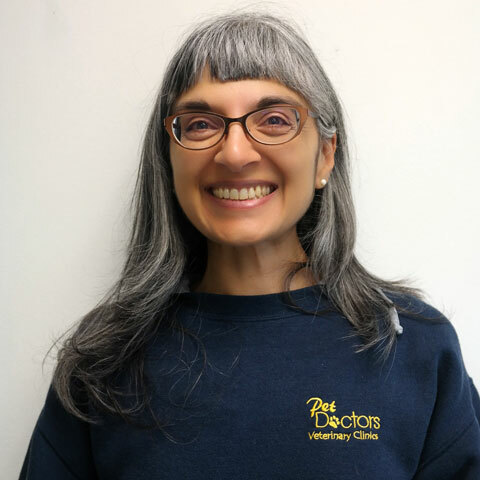 Naziema started working for Pet Doctors Chandlers Ford in 2012 on a freelance basis before joining the team as a permanent, part-time member of staff in January 2015. She currently works at Chandlers Ford three days a week. Naziema enjoys all aspects of medicine and surgery and has a soft spot for the ‘golden oldies’ and dogs who smile.